This great hotel is situated in London Docklands, next to the train station DLR, which provides access to the Excel Exhibition Centre and to the underground network. It is also 20 minutes journey by public transport to the O2 Arena, where the best concerts take place. This is an ideal hotel for those guests that travel for business affairs. This business and conference hotel is located alongside the Royal Victoria Dock, 150 metres from the Excel Exhibition Centre and close to London City Airport. 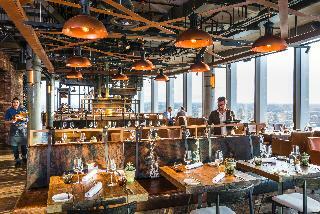 Guests will find restaurants, bars, pubs and public transport links on the hotel's doorstep. This hotel comprises of 257 guest rooms spread across 9 storeys. The hotel is fully air-conditioned and welcomes its guests into a lobby with 24-hour reception, a hotel safe, currency exchange facilities and a cloakroom. 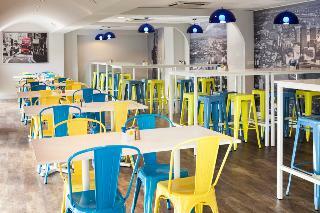 On-site facilities include a cafe, a restaurant and bar, 12 meeting rooms for up to 70 people. The contemporary style en suite rooms include all the modern comforts as standard. The relaxation area is for the exclusive use of guests and features a gym, sauna and steam room. There is also an international à la carte menu in the evening which is available in the restaurant, bar/lounge or via room service. Stunningly situated, the Britannia International Hotel stands in the heart of London's Docklands development, with magnificent views of Canary Wharf. The hotel is close to the Millennium Dome, the London Arena is close by and the City Airport is only ten minutes drive away. Access to the West End is via the Docklands Light Railway and tube link. The hotel is well endowed with various facilities available to guests. We ONLY have air conditioning in the public areas of the hotel,Please be aware that Wifi and car parking are chargeable. This new generation hotel, located in the heart of historic Greenwich, right next to the railway and DLR station, is just 12 minutes from Canary Wharf, the newest financial district in London. The National Maritime Museum and the Royal Observatory is just a 5-minute walk away. Restaurants, bars and pubs are just a stone's throw from the hotel. The clubs and shops at Canary Wharf can be reached in 10 minutes using public transport. The hotel comprises a total of 151 ‘Novation' rooms as well as the Elements restaurant, the Attitude bar and 5 conference rooms. The en suite hotel rooms provide modern comfort and contemporary décor ideal for both business and leisure travel. Other features include a hairdryer, coffee making facilities and a double bed. Sports enthusiasts may enjoy a work-out in the gym. This apartment complex is located on the bustling Commercial Road, just minutes from Limehouse station and within easy reach of the City and Canary Wharf. There are also host of beautiful docks, basins and waterways only minutes away. It is 400 metres to the Limehouse Marina and Gordon Ramsey's restaurant The Narrow and Nobu Restaurant are both 800 metres away. It is 8 km to London City Airport and 54 km to London Heathrow.Established in 2008, this complex is perfectly located for working and living in the City and is ideal for those who require easy access throughout the capital. All 81 apartments are stylish and comfortable and many enjoy striking views across London. This charming establishment welcomes families and business travellers alike and facilities on offer to guests include a lobby area with a 24-hour reception and check-out service and lift access. It also offers a WLAN access point.These modern apartments offer furnished living and dining rooms. Further facilities include a satellite/digital TV, a DVD player, an iron and ironing board and a fully equipped kitchen with a fridge, a cooker, a microwave and tea and coffee making facilities. The emphasis here is on light and space, and the apartments offer large picturesque windows, most with floor-to-ceiling glazing in the living room. Additional benefits include a total accommodation space 10 times that of a typical hotel room, complimentary broadband Internet access, Sky Freeview and a weekly linen change. The bedrooms include a double bed with a walnut headboard, a telephone and alarm clock. Each apartment comes with a private bathroom with a power shower and a bathtub, Molton Brown toiletries, a heated towel rail, a hairdryer and a shaving socket. Furthermore, a direct dial telephone, a radio, a washing machine, a king-size or double bed and centrally regulated heating are provided in all accommodation as standard. All apartments feature either a balcony or a terrace. 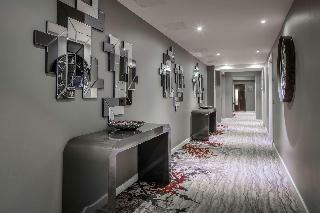 This hotel is located in one of the newest commercial districts in London. The centre of Canary Wharf is only around 100 m away, with restaurants, bars and shopping amenities about 300 m away. The underground station Canary Wharf is around 600 m from the hotel, while the nearest regional railway station is around 1 km away. London's City Airport is 6 km away and Heathrow is around 33 km away. Newly opened, in 2006, this air-conditioned city hotel comprises a total of 282 rooms spread over 14 floors. Facilities on offer include a 24-hour reception desk, a currency exchange facility and a cloakroom. A bar and a restaurant are available on site, along with conference services and Internet access. Laundry and room services are also on offer. All rooms are fully-equipped as standard including a satellite/ cable TV, a minibar and tea and coffee-making facilities. 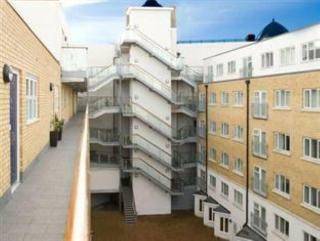 This modern property is ideally situated in London. The complex is located at the heart of Canary Wharf. Guests will find themselves just a short distance away from the Underground, DLR stations and riverboat connections. Guests will appreciate close proximity to the West End, the O2 Arena and the Excel Exhibition Centre. This upscale property features a modern design. The apartments are stunningly designed, exuding contemporary style and luxury. Beautifully decorated, the apartments feature striking and rich furnishings. works of art The apartments are well equipped with modern amenities, offering a stylish home away from home, in which to work and rest in comfort. Convenient and excellent value for money hotel to stay if going to the O2.